Visvarupa. (A. Fantalov, 2001, watercolour on paper). Indian mythology talks that god artisan Tvashtri have got the son Visvarupa. This Visvsrupa have got three heads and was the priest of gods. 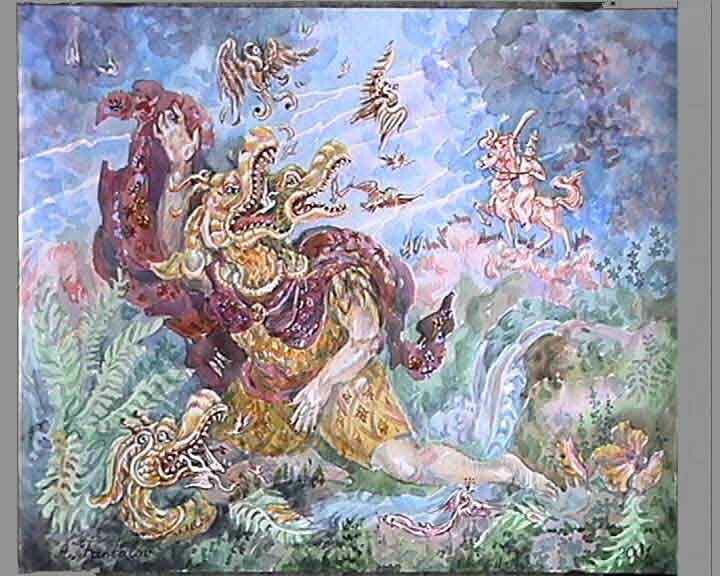 However, Indra was afraid that Visvarupa will be to help asuras and the Thunder God has decided to kill him. 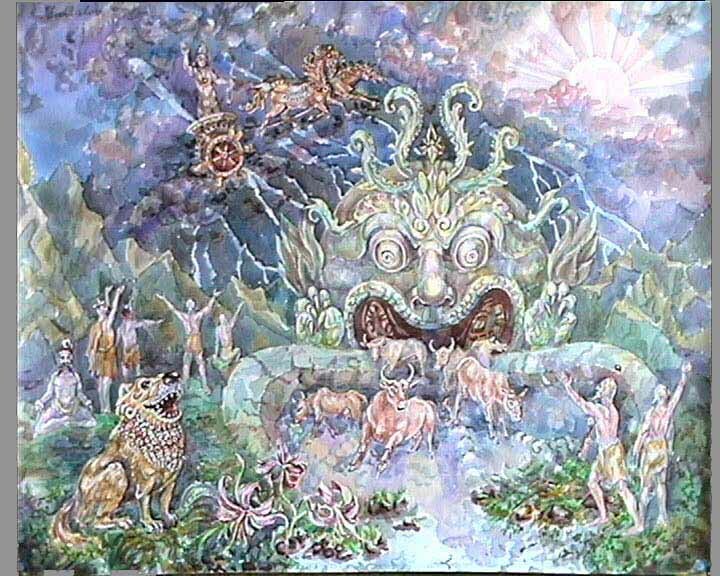 As a killing of priest is great sin, Indra asks help from Trite - mystery god. Then the Thunder God chop three Visvarupa's heads (at this moment birds flew up from heads jaws). The picture shows more ancient variant of myths. Perhaps, once Visvarupa was killed by Trita (see for similar instance: Zoroastrian mythology 2. ). Vala. (A. Fantalov, 2001, watercolour on paper). Indra - the defeater of dragons. (A. Fantalov, 2001, watercolour on paper). 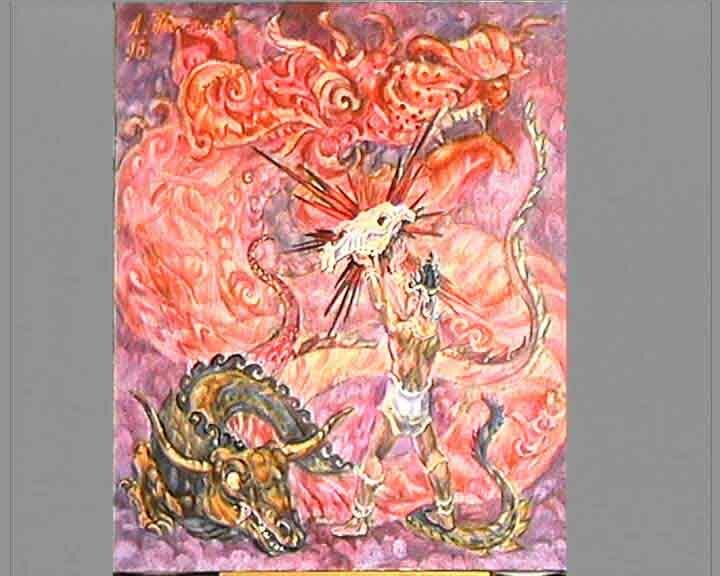 This drawing has created in terms of myths about Indra - Indian thunder god and a winner of various dragons (Vrtra, Visvarupa, Susna). Besides, the image of the fatal horse skull is represented there.